I’m not going to make this post long for you by writing a BIG introduction, so don’t worry. This is because in this post, I’ll be reviewing 2 products together. Shampoo is that one product which we need after every 3 days and compliments well when used with a good conditioner. To be precise, today I’ll be reviewing Garnier Fructis Triple Nutrition Strengthening Shampoo and Conditioner. It is one of their new launches. And if you are regular reader of my blog, you must know about #happyhairchallenge I wrote about on my blog before. Read here and the after results post here. 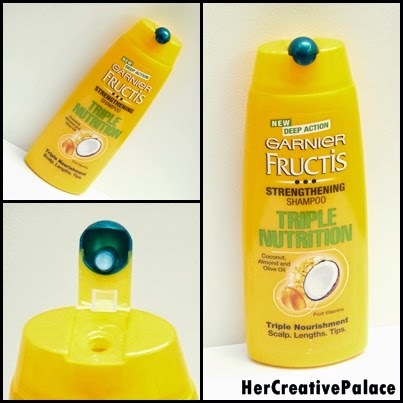 Garnier Fructis Triple Nutrition Strengthening Shampoo: Nourishes scalp, lengths and tips with a 3 oil (coconut, olive & almond oils) formula. A new foaming formula with an exquisite fragrance which gently and perfectly cleanses your hair. Your hair becomes stringer and looks healthy with every wash.
Garnier Fructis Triple Nutrition Strengthening Conditioner: Nourishes scalp, lengths and tips with a 3 oil formula. A new conditioning formula with an exquisite fragrance which extremely easily detangles your hair. Hair is soft and extremely easy to detangle. Shampoo: Apply on wet hair, lather and rinse. Conditioner: Rinse well after shampooing. Apply conditioner on scalp and along length of hair to tips. Leave for 1-2 minutes. Rinse thoroughly. Product does not lather. Personally, I think it is very much important to use a conditioner with the shampoo. Earlier I never used to apply conditioner and shampooing my hair but now I have experienced and learnt that I should not skip this step. Coming back to the product, Garnier Fructis Triple Nutrition Strengthening Shampoo and Conditioner comes in a plastic packaging which is yellow in color with flip top cap and makes it travel friendly. At the back of the packaging, you can read all the details about the product. 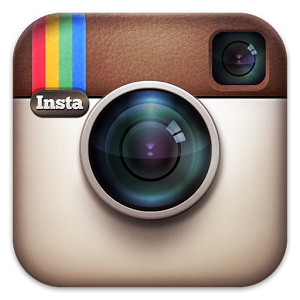 The fonts used are in green, black, and white in color. The shampoo has a runny consistency whereas the conditioner has thick consistency. The texture for both is really smooth and perfect. Both the products smell delicious and have a mild fragrance. The shampoo is off white in color whereas conditioner is pure white in color. From the very first wash, I could feel my hair healthy and strong. It really performed a good job for me but yes the shampoo can’t be used alone, you need to apply the conditioner too. To be on positive side, it is very much in budget. To summarize about these products, I’d say you must check it out as it provides your hair with the nutrition of 3 oils all together (almond, olive and coconut oils), maybe that’s why it has been given the ‘triple nutrition’ tag. 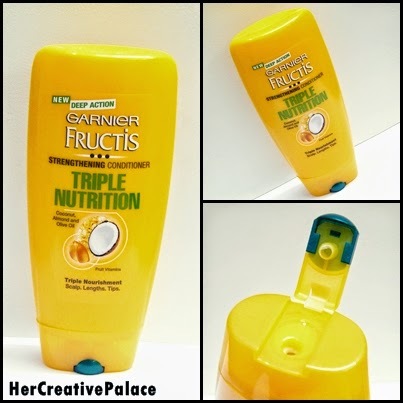 Garnier Fructis Triple Nutrition Strengthening Shampoo and Conditioner have the goodness of 3 oils in it and make your hair healthy and strong. These products must be tried at least one if it suits your hair. The products are in budget, travel friendly and perform its job beautiful with delicious fragrance. Have you tried Garnier Fructis Triple Nutrition Strengthening Shampoo and Conditioner? Do share your views and experiences in the comments below. Disclaimer: PR Sample. Opinions shared are my own.